On 6 August, shortly after the outbreak of war, Britain asked New Zealand to capture a wireless station in German Samoa. The station, situated in the hills behind Apia, was strategically important because it was capable of sending signals to Berlin and the German fleet in the Pacific. A small force of local constabulary protected the wireless station. They were no match for the Samoa Expeditionary Force, which achieved its objective without resistance. New Zealand occupied the islands for the remainder of the war, then from 1920 until 1962 administered Western Samoa under mandates from the League of Nations and its successor, the United Nations. New Zealand’s rule was marred by its inept handling of the deadly influenza epidemic of 1918 and suppression of the Mau nationalist movement in the 1920s (see 28 December). 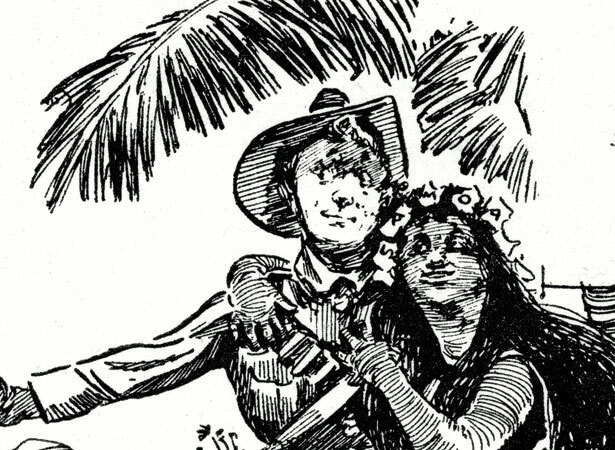 We have 19 biographies, 40 articles, related to New Zealand force captures German Samoa.